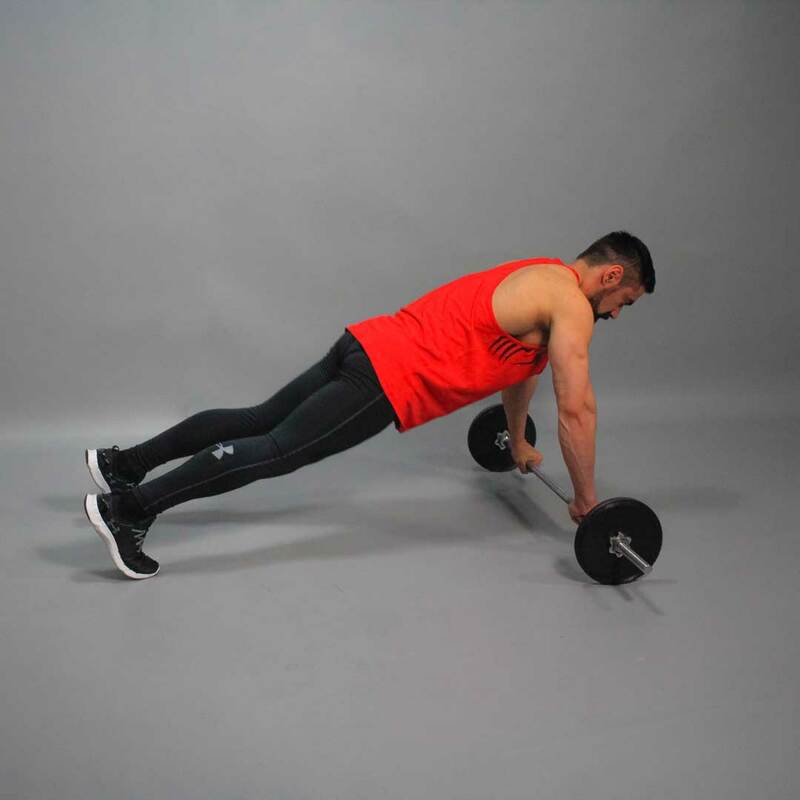 For this exercise, you will need to get into a push up position. But instead of having your hands on the floor, you will be grabbing on to an Olympic barbell (loaded with 5-10 lbs on each side) instead. This will be your starting position. 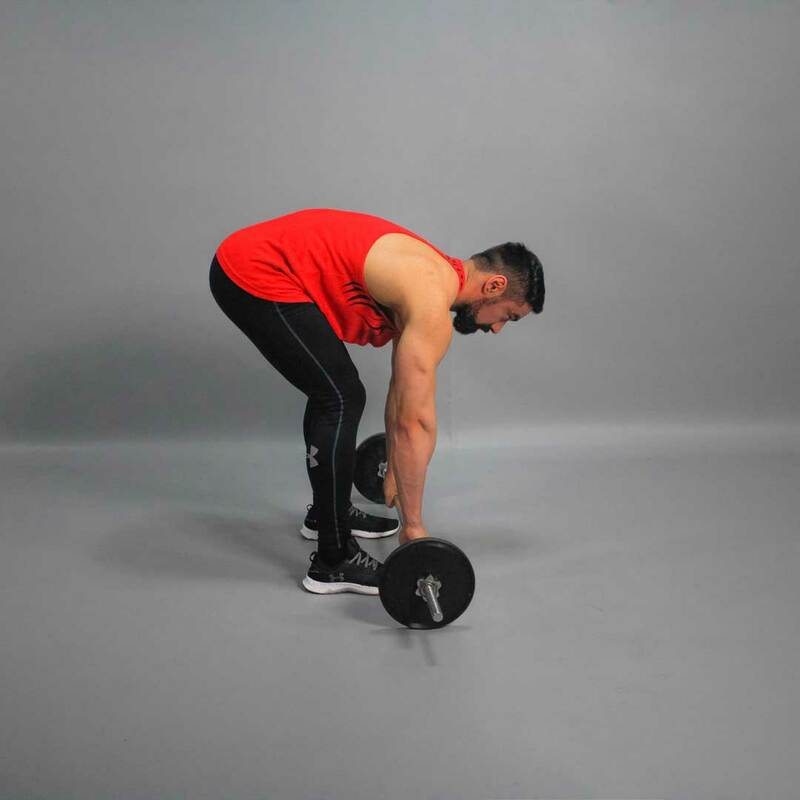 Exhaling, roll the barbell towards the toes of your feet as you lift your hips. While performing, carefully watch the back position. Your arms should be staying perpendicular to the floor. Otherwise, you will work out your shoulders and back more than the abs. Precautions: This exercise is for people with healthy backs.